John Renbourn, the English guitarist, and the subject of our last episode, once introduced a song in concert by saying he was now going to play an English song, “It’s a nice little melody—alas, there are just not that many good English ones.” As we said last episode, John’s repertoire was vast, so he had many musical traditions to draw from and could pick and choose. I mention this only in passing today, because when it comes to music, musicians accept no borders. 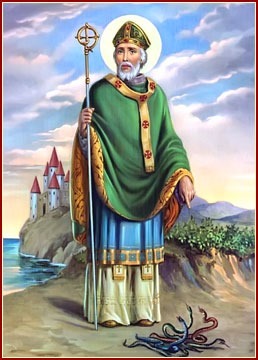 In the US today we have an odd holiday, St. Patrick’s Day, where we broadly and vaguely celebrate—well, not missionary saints. Instead many engage in an approximate celebration of Irishness, where amongst the dyed green rivers and dyed green beers, the “Kiss me I’m Irish” T-shirts, and the saucy leprechauns on everything, there is some occasional notice given to Celtic culture. Alas, I have nothing prepared to be dyed green. I expect we’ll revisit Irish writers’ words soon enough though. Christianity conquered an empire that was more cruel than Hitler’s Auschwitz. And it was done by Christians who were willing to live the love that God gave them in the model of Jesus. I sometimes wonder why it is that we still fail to see this. Christians who offer love in today’s world are called ‘soft-headed.’ But what happens when we bluster and threaten in today’s world? Are we nearer peace today because we speak in militant tones? Psychologists tell us that we get a REACTION equal to the ACTION in the emotional world just as we do in the physical world. When we shake our fist at someone, we get a fist right back. So, who is soft-headed? 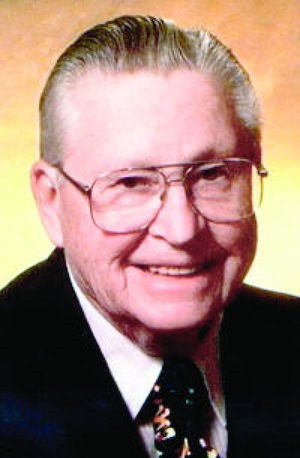 I will note only that Lester Moore earned a Purple Heart, Bronze Star and Silver Star serving in WWII, before he took up the ministry and eventually gave this sermon. To hear Dave Moore’s He Hit Me First, use the player gadget below.